Honing in on that classic alternative-indie sound, Chay Snowdon is a band that will get you on your feet. The high energy Bristol, UK band consists of Liam Roberts on lead guitar, George Roach on bass, Ed Fox on drums, and Chay Snowdon on vocals and rhythm guitar. Having already released two singles during the month of January, the band is sure to begin the new year with a bang. These memorable songs compliment each other through parallels. 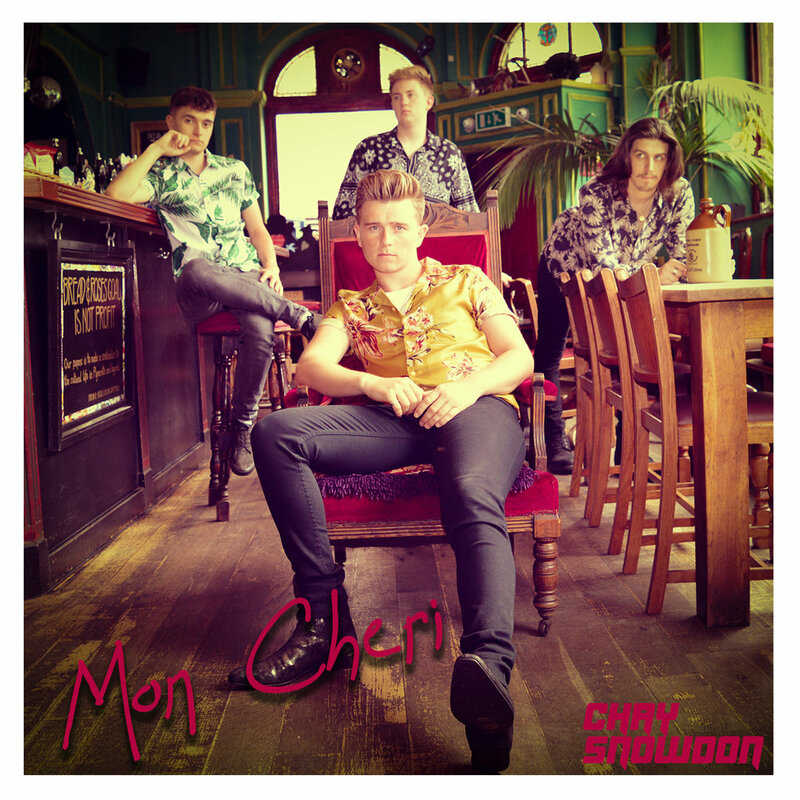 “Mon Cheri” makes the influence of iconic bands such as Kings of Leons and Catfish and the Bottlemen shine through. The song showcases banging beats and a melody that punches. It’s hard not to picture this song being played in front of a full crowd, all jumping around and singing along. Though they’re a band gaining friction in the indie music scene, their sound is enough to convince listeners that they’re bound to be big. The second single, “Sha La La,” takes a step back from “Mon Cheri” to showcase a more tranquil sound. It’s a heartfelt love song that seems like an upbeat slow dance. Indeed, the lyrics sing, “Sha la la / you take my hand / sha la la / and ask me to dance.” In this song, Snowdon invites listeners to dance with him through his lyrics. It’s about not caring about the past or future, but only the present. Snowdon wants you to lose yourself in the moment. Despite it’s flowing melody, the song still has the same power that all Chay Snowdon songs possess. Based on these singles alone, the band establishes that they will not be to overlooked.